File your taxes! That’s right. Filing your income taxes is the key to discharging tax debt in bankruptcy. 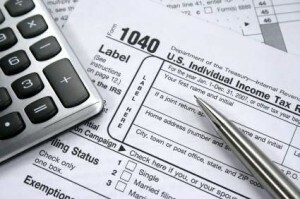 [O]ur sister circuits have uniformly held that in order for a document to be considered a “return,” under either the bankruptcy or the tax laws, it must (1) purport to be a return; (2) be executed under penalty of perjury; (3) contain sufficient data to allow calculation of tax; and (4) represent an honest and reasonable attempt to satisfy the requirements of the tax laws. See, e.g., In re Hindenlang, 164 F.3d 1029, 1033 (6th Cir.1999) (citingBeard v. Commissioner, 82 T.C. 766, 1984 WL 15573 (1984), aff’d, 793 F.2d 139 (6th Cir.1986)); In re Hatton, 220 F.3d 1057, 1060-61 (9th Cir.2000) (citing Hindenlang and Beard). The Court reasoned that a taxpayer’s return filed only after the IRS filed an SFR “is hardly how honest and reasonable taxpayers attempt to comply with the tax code.” In other words, if the IRS beats you to the punch and filed an SFR before you file your return for the tax year at issue, you cannot satisfy the fourth prong stated above–ever. All this reinforces the most important thing you need to know about discharging income taxes in bankruptcy: YOU MUST FILE YOUR RETURNS BEFORE THE IRS DOES! Taking that first step forward is always the most important, but I’m sure one of the most difficult things for people to do.